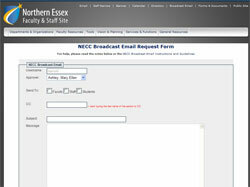 NECC has an automated web form to send broadcast email messages to the college community. NECC Staff and Faculty can submit a form that will forward an email to the appropriate supervisor for approval, then to the Marketing Communications office for broadcast to the appropriate college audience. Insert your user name in the appropriate box. For example, msmith or sjones. Select the approver’s name from the drop down list. Select the audience to receive the broadcast email. Type in your subject. All emails must include a subject to be sent. Please keep the subject line short and descriptive of the email message. Please target the audience with the subject line, not the approver. Type in or “Cut and Paste” your email message into the body of the form. You may insert a link into the body of an email. Please include the www or http://www before the link. Please include the name of the originator of the email in the body of the email message. This can be done by inserting their email “signature” at the bottom of the email, including their name, title, email address and phone number. 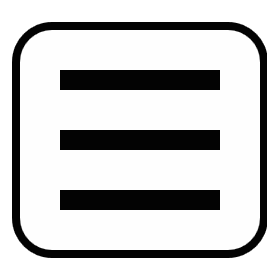 If your e-mail message, such as a graph, image, pdf, movie, or other file, cannot be inserted into the body of the email form, please contact Marketing Communications to post your attachment to the web site 3 days prior to sending your email. Responses to the college email messages will be received by the individual who sent the email, not the approver, the originator, or the Marketing department.